BERLIN, Aug 13 2015 (IPS) - Governments around the world are obliged to promote and protect all human rights and fundamental freedoms, regardless of their political, economic and cultural systems, according to the Vienna World Conference on Human Rights. But reality is far removed from international covenants. This is evidenced yet again by the valiant struggle for human rights in Malaysia, war-torn Syria, the former Soviet republic of Azerbaijan, and in Uganda. 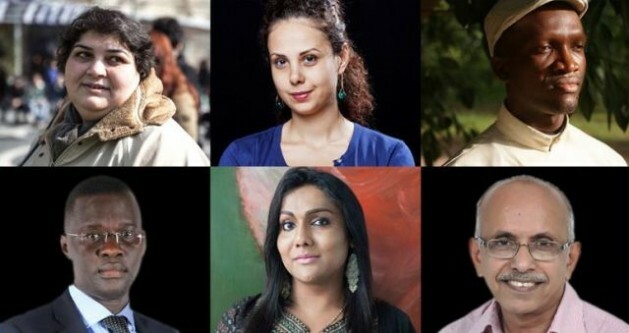 Human Rights Watch (HRW) announced earlier this week that it is honouring four “courageous and tireless advocates for human rights” with the 2015 prestigious Alison Des Forges Award for Extraordinary Activism. The four leading voices for justice in their countries, include: Nisha Ayub, an impassioned human rights defender on transgender rights in Malaysia; Yara Bader, a journalist and human rights activist exposing the detention and torture of journalists in war-torn Syria; and Khadija Ismayilova, a prominent investigative journalist dedicated to fighting for human rights in the former Soviet republic of Azerbaijan. According to the Human Rights Watch, Ismayilova is currently behind bars and on trial on bogus tax and other charges brought in retribution for her reporting. Yet another champion of rights is Nicholas Opiyo, an eminent human rights lawyer and founder of the human rights organisation Chapter Four Uganda. He has been working untiringly to defend civil liberties in Uganda. The four 2015 honourees and two 2014 recipients of the award, Father Bernard Kinvi from the Central African Republic and Dr. M.R. Rajagopal from India, will be honoured at the Voices for Justice Human Rights Watch Annual Dinners held in more than 20 cities worldwide in November 2015 and March-April 2016, Human Rights Watch said on Aug 10. Ayub will be honoured in Amsterdam; Bader in London and Paris; Ismayilova in Munich and Geneva; and Opiyo in Santa Barbara and Los Angeles. Father Kinvi will tour North America and will be honoured at dinners in New York, San Francisco, Silicon Valley, and Toronto. Dr. Rajagopal will be honoured in Hanover. The award is named for Dr. Alison Des Forges, senior adviser at Human Rights Watch for almost two decades, who died in a plane crash in New York State on Feb. 12, 2009. Des Forges was the world’s leading expert on Rwanda, the 1994 genocide, and its aftermath. The Human Rights Watch annual award honours her outstanding commitment to, and defence of, human rights. It celebrates the valour of people who put their lives on the line to create a world free from abuse, discrimination, and oppression, Human Rights Watch said.